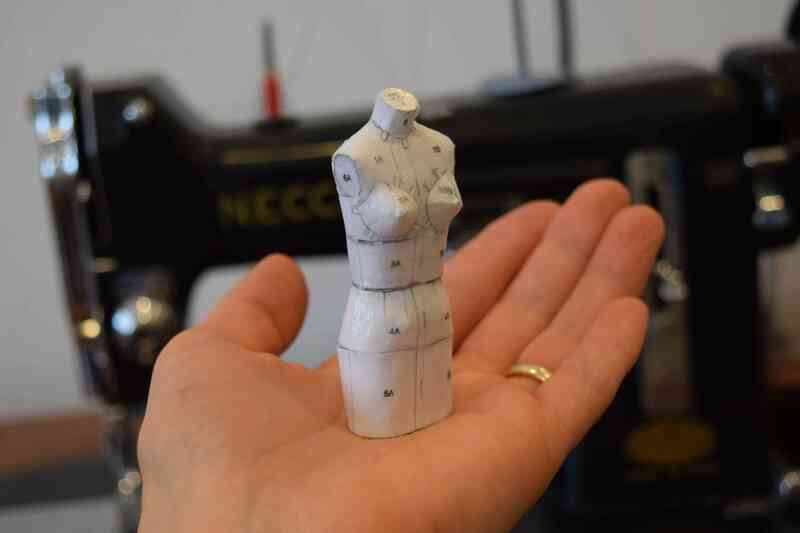 Someone asked me if my miniature dress form patterns could be used to make 1:12 scale dress forms for a doll house. I was going to reply no, since they are designed for quarter scale to half scale. But then I wondered if maybe the paper version could be made that small. The half scale paper dress form pattern is designed to be printed on card stock and reinforced with corrugated cardboard. To test making the pattern at 1:12 scale I printed it at 16.7% of the designed size on regular paper and used a cereal box for the cardboard. I taped it together with tiny strips of Scotch Magic tape and used Liquid Stitch fabric glue applied with a toothpick. As you can imagine, it wasn’t easy to put the tiny pieces together. However, much to my astonishment, it was actually possible! It helped that I have made several samples in the half scale size, so I was familiar with the construction process. I wasn’t planning on finishing the dress form. I had thought I would just put a couple of the pieces together to see if it would work. The pieces went together well, though, and it was so cute I had to finish it. I also used the included cardboard stand pattern to make a stand for it. The pole for the stand is a piece of wire coat hanger. I sewed a knit cover for the dress form from some thin knit fabric and decorated the stand with washi tape. It is so adorable I almost want to make a doll house to put it in. But no, sewing takes up enough time and space in my life, and I don’t need another hobby. I’ll just set this dress form next to my keyboard. 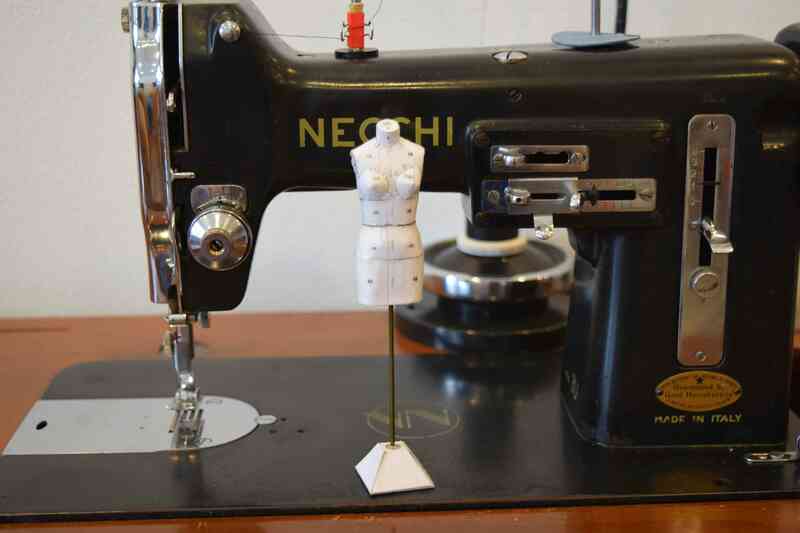 ‹ Favorite Sewing Tip of 2018: Pin Diagonally! OMgoddess this is too adorable. Wonder if this could be done as a pin cushion- a firm fabric instead of paper for the form, and then fill out with craft stuffing? You wouldn’t be able to sew anything this detailed in fabric at this scale, but you could make a larger one or a simpler small one. 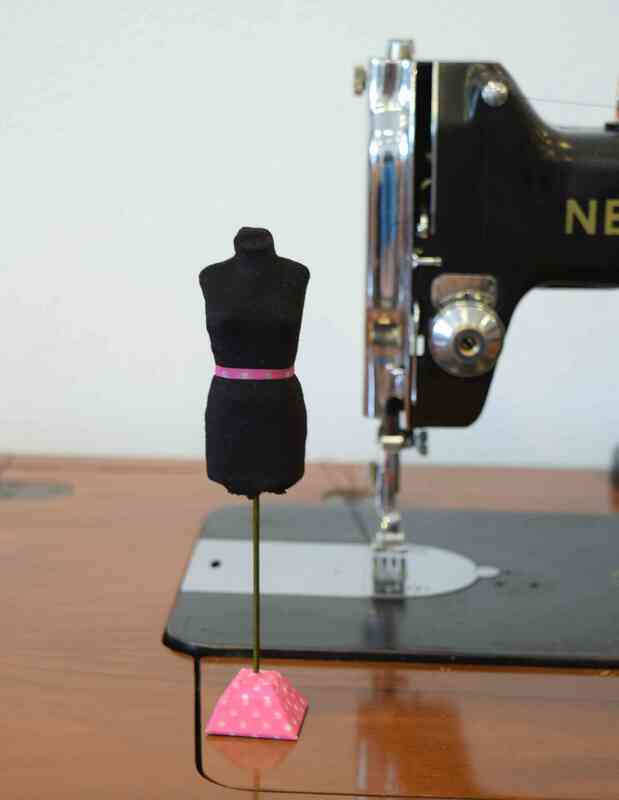 My stuffed fabric Mini Dress Form pattern includes a quarter scale version that is 7 inches tall that could be used as a large pincushion. 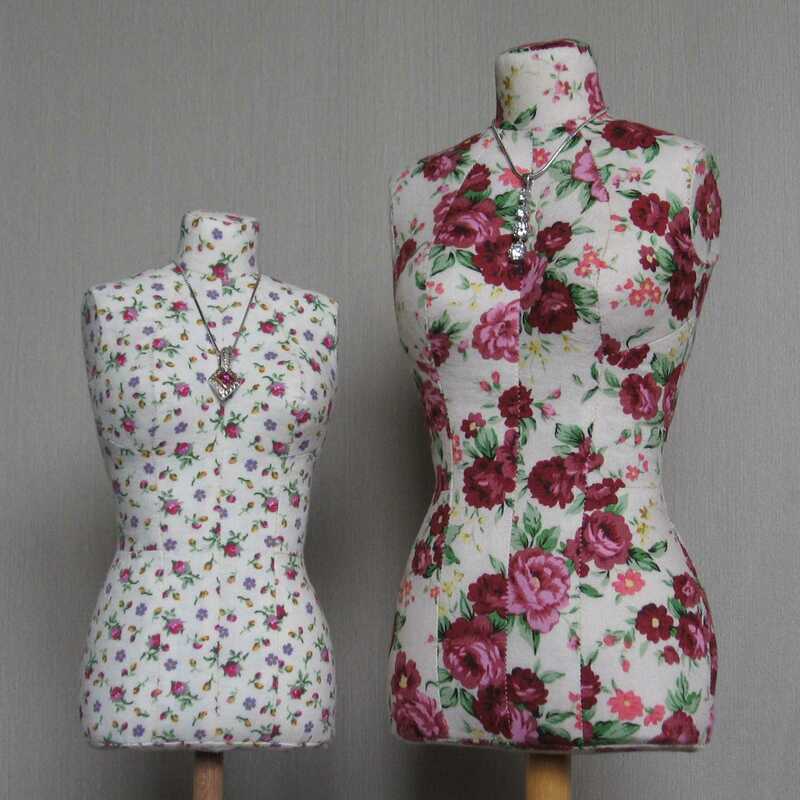 Another Etsy seller has a pattern for a simpler pincushion dress form.